So intrigued by this series entitled Drive, captured by Andrew Bush and published into a hardcover book several years ago (available here). 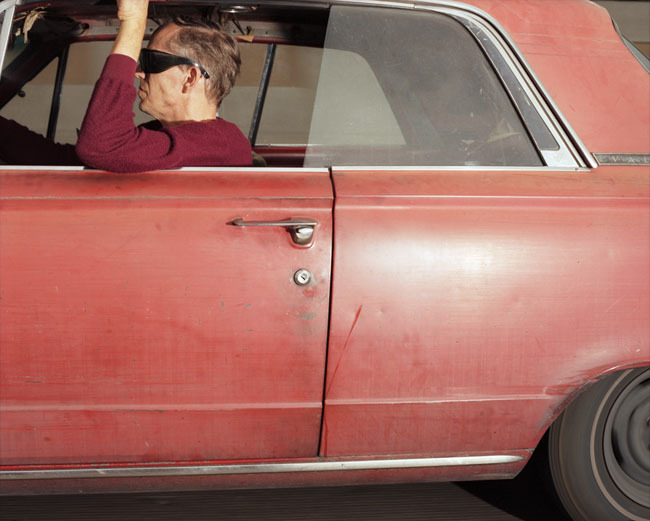 His work examines the tension between private and public by photographing individuals driving cars in the Los Angeles area. 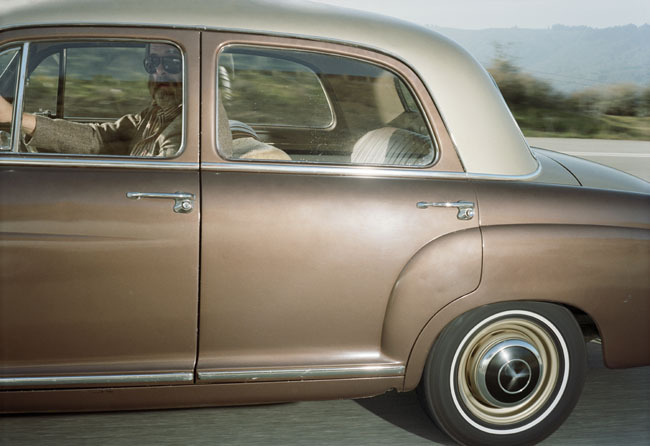 By attaching a camera to the passenger side window, Bush created these images while driving alongside his subjects—often traveling at 60 mph. He wrote funny notes and captions to accompany each of them.